Sharp is the subject of Bert Shapiro's documentary Elliott Sharp: Doing the Don't, for Pheasant Eye Film. He was a 2009 Master Artist-in-Residence at the Atlantic Center for the Arts, and a 2010 New York Foundation for the Arts Fellow in music. In 2003 he was awarded a grant from the Foundation for Contemporary Arts Grants to Artists Award. In March 2011, Sharp's 60th birthday was celebrated with a weekend of all-star concert events hosted by Brooklyn's ISSUE Project Room. 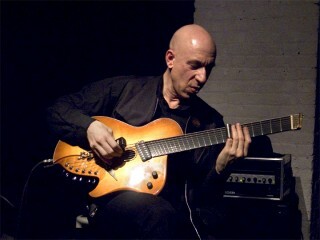 View the full website biography of Elliott Sharp.